Brewer’s on the Block coming to Union Market! 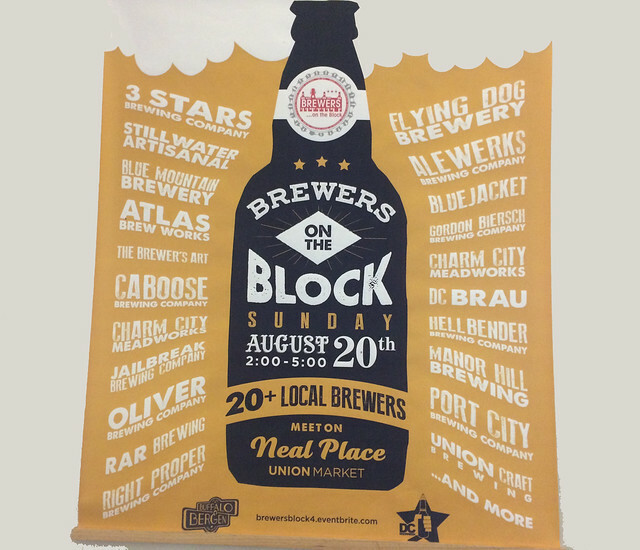 This year’s DC Beer Week kick-off marquee event is Brewers on the Block. Hosted by Buffalo & Bergen, Suburbia and Link Strategic Partners, it will be held in front of Union Market on August 20th from 2-5pm. You’ll find many local breweries available, including DC favorites 3 Stars, Atlas Brew Works, DC Brau, Hellbender, Right Proper and Blue Jacket. Kick of your DC Beer Week the right way! GA tickets are $15-20 ($40-65 VIP), there are multiple ticket options. 2-5pm (1 extra hour for VIP).